I met author Carole Poustie at a meet-up for the Society of Children’s Book Writers and Illustrators (SCBWI). It was my first time there, and I didn’t know anyone. Carole very kindly chatted to me and introduced me to other writers and illustrators. Her second middle-grade book, In the dark, has just been released. It follows the adventures of Ish, a thirteen-year-old boy, who was nicknamed Ish by his parents in the hospital after his birth because he looked Michael-ish. Ish is spending the summer with his Mum and older sister at his Gran’s place close to the Murray River. He seems set for a perfect summer, except that he discovers a letter his late Grandpa wrote to his Mum, begging her to tell Ish the truth about his identity. Thank you, Carole, for answering my questions about your writing process! 1. How did you come up with the idea for In the dark? Even though I have written In the Dark as a stand-alone book, it is actually the sequel to my first novel, Dog Gone, published in 2010. Celapene Press is re-issuing Dog Gone with a complementary updated cover design next month. When I originally finished writing Dog Gone I knew I wasn’t finished with the characters. They stayed with me whispering ideas about what they could get up to next and so there was no choice but to start typing. The setting for the novels in the books is a fictitious place called Mt Selview, but in my mind the actual setting is Corowa, where my grandmother used to live, and where I spent time as a child. Her garden still contained the old cellar from the hotel that used to occupy the site. The cellar was my starting point and the story took off from there. 2. What was the hardest thing about writing it? Because I hadn’t planned to write a sequel originally, I had to think carefully about the plot of In the Dark, to keep the characters consistent but to allow Ish and his sister Molly to grow up a little bit but with more room to grow over the course of the novel. Knowing how much backstory to include for a reader who may not have read Dog Gone was a challenge. During the time of writing In the Dark I was completing my Masters in Writing and Literature, so although I had the first draft completed reasonably quickly, the revision process took a good couple of years. 4. Describe a typical writing day. I’m not sure I have a typical writing day but I do know that when I have the time to write I usually take my dog for an early morning walk which helps me to enjoy some reflective, meditative time to clear my mind and to engage my muse. Usually the story starts shaping itself in my head while I am walking. Season permitting, I sit on my back deck to write. I live in a treed area and find that the birdsong and outdoor setting is most conducive to being creative. Fortunately, my study overlooks a park so in winter at least I can see outside. I lose all sense of time and often find myself eating lunch at dinnertime! 5. As a writing teacher for adults, what is the most common question your writing students have about the writing process and how do you answer it? Many of my writing students are working on creative projects with the hope of becoming published. So, there are always questions on that topic. But of course, you need a good quality product to publish in the first place, even if you are going to publish it yourself. Whether my students are writing fiction or creative nonfiction, I spend a lot of time helping them to grasp the concept of writing in scenes. Many beginning writers present their stories exclusively in narrative. My mantra is leave room for the reader. By helping beginning writers create scenes where something is happening – as it would on screen or on the stage – the reader can become involved in the story and make their own judgments about what is going on. They don’t have to endure a narrator telling them everything. 6. What do you love most about writing? The best thing about writing for me is when you lose yourself in your work and the characters take you off in directions you never anticipated – sometimes changing course so dramatically the whole novel shifts gear and you find yourself in the passenger seat hurtling towards some unexpected destination you never knew existed. 7. Which middle-grade writers do you admire and why? Ursula Dubosarsky is an author I have a huge admiration for. Her characters are always authentic and extremely well-drawn. Her books have a certain wonderful sense of unspoken foreboding or mystery about them that, as a background presence, produces a source of tension that drives the story forward. Sonya Hartnett’s ability to produce unique, authentic and stunning characters is to die for. 8. Are you working on a new project? The Little Bookroom in Carlton is one of those wonderful places that I could stay in all day. It’s cosy and inviting, and filled with children’s books. In the last school holidays, I took Mr 6 there for a story and drawing session with Tull Suwannakit. Tull is the illustrator of Sad, the Dog, written by Sandy Fussell. Tull read us Sad’s story, and then taught us all – kids and adults – how to draw dogs. So much fun! Some of my dogs looked a little wonky but Mr 6 was very proud of his efforts. Sad the dog is the story of a neglected dog, who eventually is given a new name because – you guessed it – he is not so sad at the end of the book. I can’t imagine a small kid who wouldn’t like this story – a gorgeous dog, a lovely and satisfying story, beautiful watercolour illustrations. Some students from RMIT filmed a short video about Tull. Thank you to Binny Park from RMIT for allowing me to share it. For those of you who know our family, you can find a tiny glimpse of Mr 6 and me in the film. Tull’s words about art offering the ‘freedom to express, to explore’ resonated strongly with me. 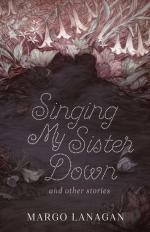 You can read a fabulous interview with Sandy Fussell on Nicole Melanson’s blog, Word Mothers. Today I am excited to bring you my first author interview – with Allison Tait! Allison is a freelance writer, one half of the Australian Writers Centre podcast with Valerie Khoo, and the writer of The Mapmaker Chronicles – a trilogy for children. Her third book in this series, Breath of the Dragon, was released this week. You can read my review of the first Mapmaker book, Race to the end of the world, and you can have a look at the Mapmakers Chronicle website here – lots of information about maps for kids awe well as teachers’ notes. The Mapmaker Chronicles: Race To The End Of The World was named by Readings as one of the top 10 Best Middle Fiction Books of 2014 and was a Notable book in the 2015 CBCA Children’s Book Of The Year Awards. Thank you for joining us, Allison! KC: I know you’re more of a pantser than a plotter – writing the first draft to see where you end up rather than planning everything in the beginning. Did you have a rough idea of what you wanted each of the books in The Mapmaker Chronicles to cover or did you work on one book at a time? After you finished the third book, did you have a chance to change anything in the first book if you needed to emphasise or delete anything? AT: When I wrote the first draft of the first book, I started with an idea – a race to map the world and a boy who didn’t want to go – and started writing. I wrote 48,000 words during NaNoWriMo in 2012, and then wrote another 5000 words during the following week. Once I had that first draft, I did a short – one paragraph – outline for the following books. What I discovered as I wrote books two and three was that things changed. I also discovered that things I’d put into book one really came into their own by the time I wrote book three, particularly Quinn’s family history. I hadn’t had a clear picture of a lot of that in the beginning, but my subconscious was working for me and it all came together beautifully in the end. The books came out six months apart, so there wasn’t a lot of room for making big changes as I went. I wrote the drafts of books two and three as quickly, and as close together, as the editing process would allow because it did give me an opportunity to seed things in to book two that I knew I would need for book three. It’s not the most scientific process for writing a series, but the organic nature of it worked for me. KC: How many drafts did you write and what did you change or refine in each draft? AT: I did two drafts of each book before I sent them through to my publisher, Suzanne O’Sullivan at Hachette Australia. The first was the ‘get it all down’ draft. Then I read the draft aloud to my son (now 11), which helped me to see what was working and what wasn’t. Once I’d redrafted (which was more a sense of adding bits and deleting bits rather than an entire rewrite), they went to a structural edit. So that’s another draft – and, with one book in particular, that required some hefty additions. The books then went to copy edit – so I went through them again, and this is not just moving apostrophes but also answering a lot of questions that come up when a new person reads the story – and then to proofreading. So I guess we’re looking at five drafts for each book. KC: The Mapmaker Chronicles has a great pace – enough details to paint the scene but not enough to slow down the story. How did you balance the details with the action? I’m not sure I thought about it that much. It was more a question of writing the kind of story that my sons and I both like to read – none of us are fans of long passages of description… They like things to move along and I’m the same. Perhaps my journalism training comes into play here as well because I’m used to getting a message across in a limited word count – you want to let the reader know exactly where they are and exactly who they’re dealing with without wasting too many words. KC: Quinn, Ash and Zain are well-developed, memorable characters with strengths and quirks and particular ways of speaking, thinking and acting. Did you spend a lot of time developing them before writing or did you get to know them as you wrote? AT: Very much the latter. Quinn appeared to me as a fully-formed person even as I was having the idea for the series. Zain developed for me even as he developed for Quinn. At first, he was this large, taciturn Deslonder and I was thinking, ‘what am I going to do with you?’, but he slowly revealed all his different facets over time. As for Ash, well, as soon as she popped up in that garden, complaining about the fact that girls weren’t even allowed to apply for Mapmaking school, I knew we were going to get along beautifully. KC: Did you ever get stuck while you were writing your trilogy? If so, what did you do to work your way out? But I find when I get stuck that the best solution is to walk away and do something else for a while. I walk for miles with my dog. I weed the garden. I wash dishes. And while I’m doing active, repetitive things, my mind quietly goes about its business. Having said that, the biggest problem I had actually came up during the writing of Breath Of The Dragon, and it was my good friend Anna Spargo-Ryan who reminded me, during one desperate phone call, that every character is the hero of his or her own story. Even the villains. KC: Are you planning any more adventures for Quinn and Ash? We hope so! AT: Unusually for me, I do have plans. They’re plans that change daily, depending on where my thoughts wander, but I’m hoping we’ll see them again. They’re both telling me that there’s more to the story, so fingers crossed! KC: Are you working on any fiction now? AT: I’m working on a new kids’ novel, this time a contemporary story with a most delightful heroine. I’m not sure what will happen with it just yet, but I’m really enjoying getting to know her. KC: What advice do you have for young and adult writers? Write a lot. It takes a long time to develop your voice and to discover how you write a book (which is probably very different to the way I write a book). Don’t just talk about writing, do the writing. Read a lot. I know this comes up all the time, but, really, read widely. Not just things that you know you like, but things you’ve never tried. When you write a novel, you bring every single book you’ve ever read to the page in a funny way, so make sure you’re drawing on a wide library. Finish what you start. I know a lot of aspiring authors who have drawers full of half-finished novels. They get halfway through writing a manuscript and become distracted by a shiny new idea. The thing is, the middle of ANY manuscript is hard. ANY other idea looks better than what you are writing when the writing is hard. Finish what you start so that you know that you can.